It's about time! Discover the best of the new Shimano XTR M9100 series, including a 51-tooth cassette and ultra-quiet "Micro Spline" freehub. 1X drivetrains have been on the rise since the introduction of SRAM's XX1 drivetrain system in 2012. Today they are enjoyed by a large percentage of mountain bikers for their simplicity, clean appearance, ease of use, and improved chain retention. Looking back, it took Shimano a little while to jump on the band wagon. 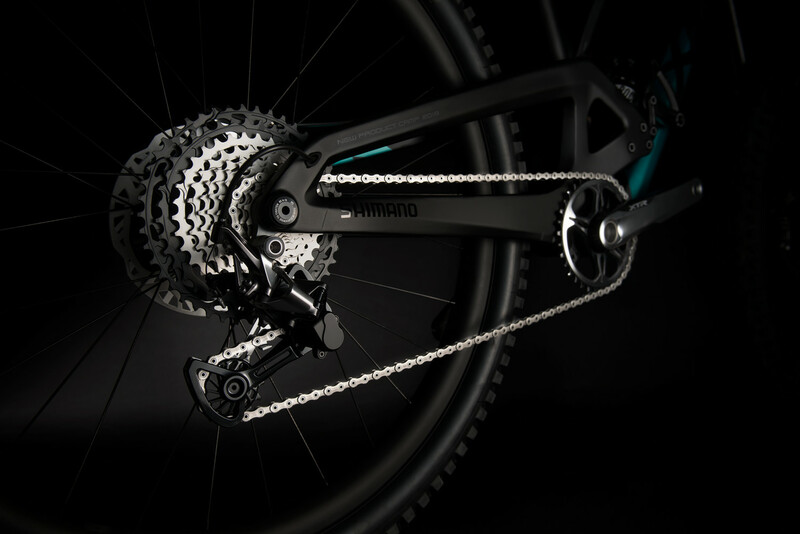 With the introduction of the new M9100 groupset and its 10-51 tooth cassette, it's clear they're fully onboard – and the chain promises to be as well thanks to improved retention technologies. Yes, there's still a 2X option for those seeking "ideal gear steps." 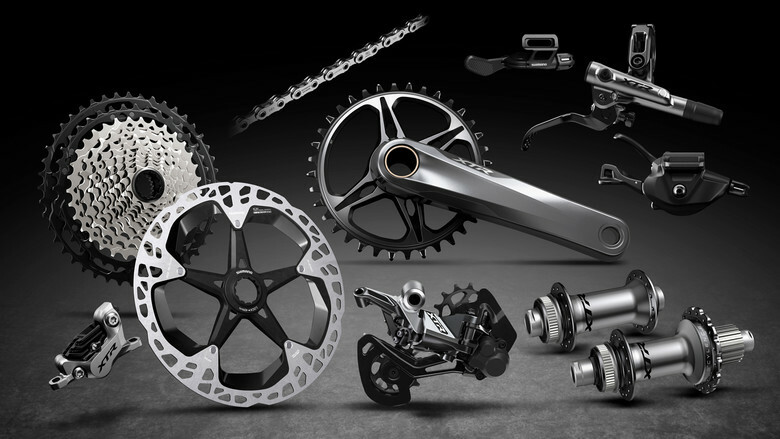 Presented below in Shimano's words are the individual components that make up the system. Mix and match to meet your needs. Meet the new XTR. Extensive feedback from Shimano’s global mountain bike athletes delivered insights that one drivetrain does not fit all racers. With that in mind, new XTR M9100 offers a range of gearing choices, single and double front chainring setups, and a unique 11-speed drivetrain option that shaves valuable weight off the system without sacrificing performance and speed. New XTR features three rear derailleurs that enhance shifting performance and are optimized for wide range cassettes with use in single or double front chainring systems. The derailleurs feature bigger 13-tooth pulleys and include Shimano’s proven Shadow RD+ low profile technology. Different cage lengths (SGS versus GS) are optimized for different gear ratios, providing optimal systems to work with the new 10-51 wide range cassette, 10-45 rhythm step cassette and one derailleur optimized for 2x12. SHIMANO offers a Wide Flange rear hub option that provides improved durability through more balanced spoke tension and more rigidity with wider spoke bracing. The Wide Flange design also reduces weight of the drivetrain as it was designed specifically for use with the lightweight 11-speed cassette. Enhancing lever access and shifting speed, the new RAPIDFIRE PLUS shift levers offer light operation force and more versatility. Shimano’s new I-Spec EV lever design features greater flexibility in mounting for a clean and ergonomic cockpit. For double chainring systems, the lever simplifies front shifting with a lightweight and compact design that shifts up and down with a single lever. For double chainring systems, the lever simplifies front shifting with a lightweight and compact design that shifts up and down with a single lever. SHIMANO introduces its first seatpost dropper remote and it features ideal ergonomics where other dropper levers fall short. It enables quick adjustment with a lighter and more natural feel and is compatible with most dropper posts on the market since the cable clamps at the lever end. The dropper remote can be installed in the same position as a left shift lever using Shimano’s I-SPEC EV system design and offers 7mm of cable stroke. The new Enduro-specific, 4-piston design features the same brake power rating as Shimano Saint (BR-M820) brakes with greater modulation tuned for Enduro riding. The new Ice-Technologies Freeza rotor construction boosts heat dissipation by 20 degrees Celsius thanks to a heat-dissipating paint on exposed aluminum layer segments. The new M9100 XC pedals improve rider stability with wider edge-to-edge contact areas while improving mud shedding through rounded contact points and off-set bindings. 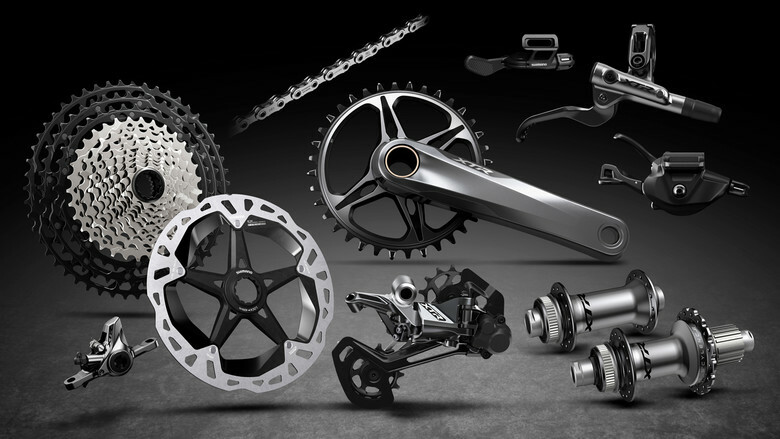 Shimano’s Rider-Tuned design offers two axle length options including a new 3mm shorter axle to minimize the Q-factor for XC riders who are running Boost drivetrains. This new shorter axle also matches the Q-factor of Shimano’s SPD-SL road pedals, providing a smooth transition for road riders diving into gravel. A wider contact area on the new M9120 trail and enduro pedals improves stability while the expanded rearward shoe-pedal contact area better accommodates the sneaker-style flat outsoles used in enduro and gravity riding. The Rider Tuned 1mm cleat spacer creates a better interface with shoes of varying outsole design and lug height. XTR M9100 series components will be available in Fall 2018. Visit www.ridextr.com for more details, and keep an eye out for upcoming Vital MTB reviews. Yes, the big blue meanie finally showed up to the party. They still have a long way to go as few are cough up XTR pricing to switch and obviously this stuff will only be spec'd on halo level bikes (nice Evil, BTW) until we see it trickle down to XT/SLX. Will they still be making cassettes that fit existing Shimano freehubs, cause I'm not buying new hubs/wheels. They’re still producing 7 speed cassettes for comparison... I don’t think you’ve got to start worrying as of yet. I'll stick with my E*13 setup, 9-46T, I think it still has more range than even this new cassette if memory serves me right. Maths are better than memories. Literally 1% more range on the Ethirteen, but with a 9t that barely fits a standard chain. 10t has better chain engagement. 9t only works well with half link chains on bmx bikes. I’d put money on the XTR shifting miles better also. Haven't had any issues with my setup on my newly built hardtail, not sure how an FS would be effected though :/. But I do agree the 9t is a bit odd, you would think they would have opted more for something like a 10t-48t ? Instead of a 9t-46t ? And just adjusted the rest of the cassette o.O ? lolz. I just want to know if the new hubs finally use sealed bearings.